Advanced Polymer Monitoring Technologies (APMT) today announced the appointment of Dr. Arnold Oronsky to its Technical Advisory Board. Dr. Oronsky is a Managing Director at InterWest Partners. He holds a Ph.D. in immunology from Columbia University and has published more than 125 scientific journal articles. “Dr. Oronsky’s years of experience in both R&D and investing in the life science industry pairs well with APMT’s technical mission. We are grateful to have his guidance as we continue setting technical priorities for our next generation products and technologies,” says Dr. Wayne Reed, APMT’s Chief Scientific Officer and Chairman of APMT’s Technical Advisory Board. 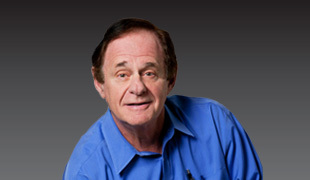 In addition to his role with InterWest Partners, Dr. Oronsky serves on several boards of successful life science companies and is a senior lecturer at the Department of Medicine at Johns Hopkins Medical School. His experience and background will help guide APMT’s research and development priorities as well as business decisions surrounding the company’s patented technologies. APMT is preparing to formally launch its next generation ARGEN product which monitors the stability and aggregation of biopharmaceuticals, and Dr. Oronsky’s knowledge of market needs and technologies that can meet those needs is an invaluable asset for APMT. “Working with APMT’s team is a pleasure. The foundational science and technology is very sound, and they have executed well to date. I am excited to help guide them toward the successful commercialization of their products and technologies,” says Dr. Arnold Oronsky. Advanced Polymer Monitoring Technologies, Inc. develops, manufactures and distributes products and services for the real time monitoring, analysis, and control of polymer reactions, solutions, dispersions and suspensions across all synthetic and natural polymer sectors from R&D through high volume industrial production. For more information, visit http://www.apmtinc.com.